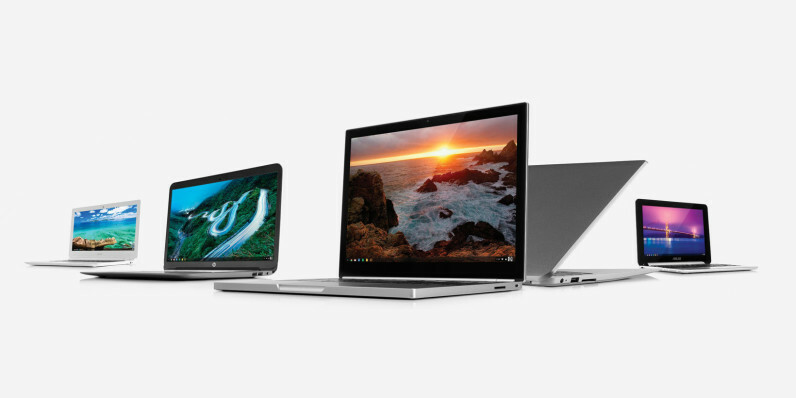 Google’s Chrome OS might soon get a serious shot in the arm that will make it a lot more enticing. Users on Reddit recently noticed that the developer version of the platform recently revealed an option to run Android apps on it. Redditor ‘TheWiseYoda’ found that that when the settings loaded on their Chromebook, an option to “Enable Android apps to run on your Chromebook” popped up for an instant and then disappeared – it’s practically impossible to click on it. Poking around the source code revealed a message indicating that “over a million apps and games on Google Play” will soon be available on Chromebooks. It’s also worth noting that the message is named ‘ARC OPT IN’, which is likely a reference to the App Runtime for Chrome (ARC) project that the company has been working on for a while now. ARC allows Android apps to run on Chrome OS, and was initially released in 2014 to a small group of developers. Last April, the company launched a Chrome app packager that allowed anyone to run their Android apps on Windows, Mac, Linux and Chrome OS. The discovery comes a month ahead of Google’s annual I/O developer conference, scheduled for May 18-20 at the Shoreline Amphitheater in Mountain View. It could be a huge step forward for Chromebooks and the Chrome OS platform as it’d enable users to access a wealth of apps and extend the functionality of their devices. Ars Technica notes that Google Play’s arrival on Chrome OS might signal the end of the Chrome Web Store, which hosts Web apps, extensions and themes for the platform. It hasn’t got much love by way of new features in a long time and is limited in its ability to accept payments when compared to Google Play. We’ve contacted Google for comment and will update this post if there’s a response.